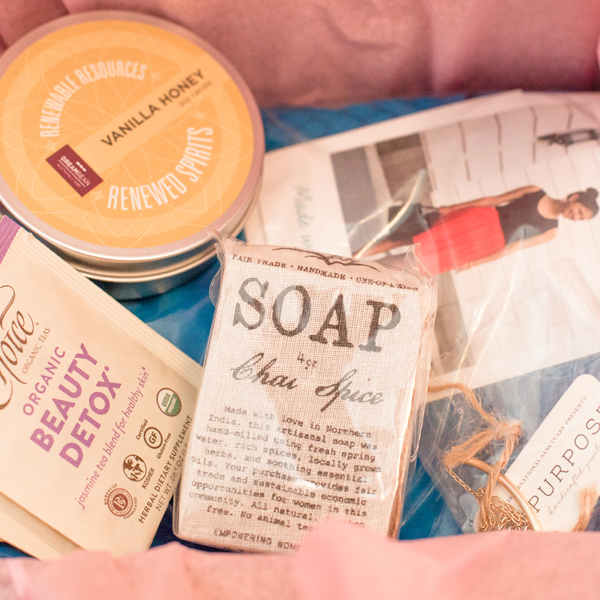 bonJOY is a subscription box for discovering for fashion + beauty + living products from social good brands. 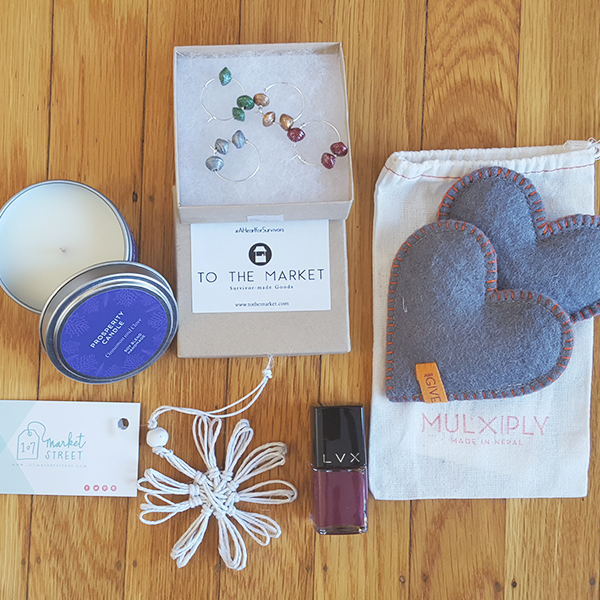 We curate from brands invested in survivors of trafficking and uplifting women worldwide. With different price points and subscription options, there's something for everyone here! We believe that doing good isn't just an obligation, it's our joy and our privilege. We believe that sustainability -- whether in terms of people or our planet -- isn't negotiable. We want to leave this place better than we found it, and BLUEdot is helping us do that one better by helping us certify our boxes carbon-neutral. Our boxes, tissue paper, and envelopes are all 100% recycled and recyclable, and we're working to make every last detail sustainable in some way. We encourage our partners to do the same. We are 100% Certified Carbon Neutral. 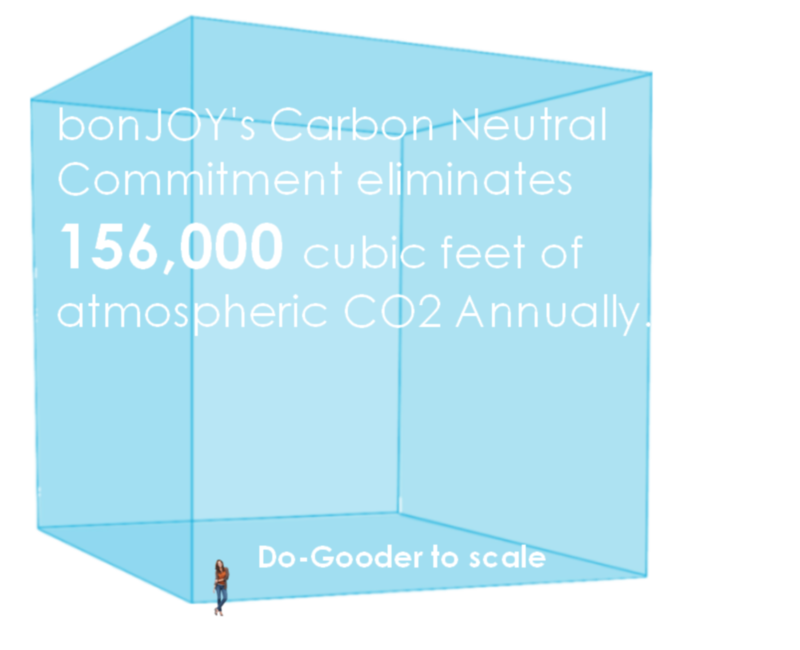 Our work with BLUEdot Register has been able to eliminate our entire carbon footprint. 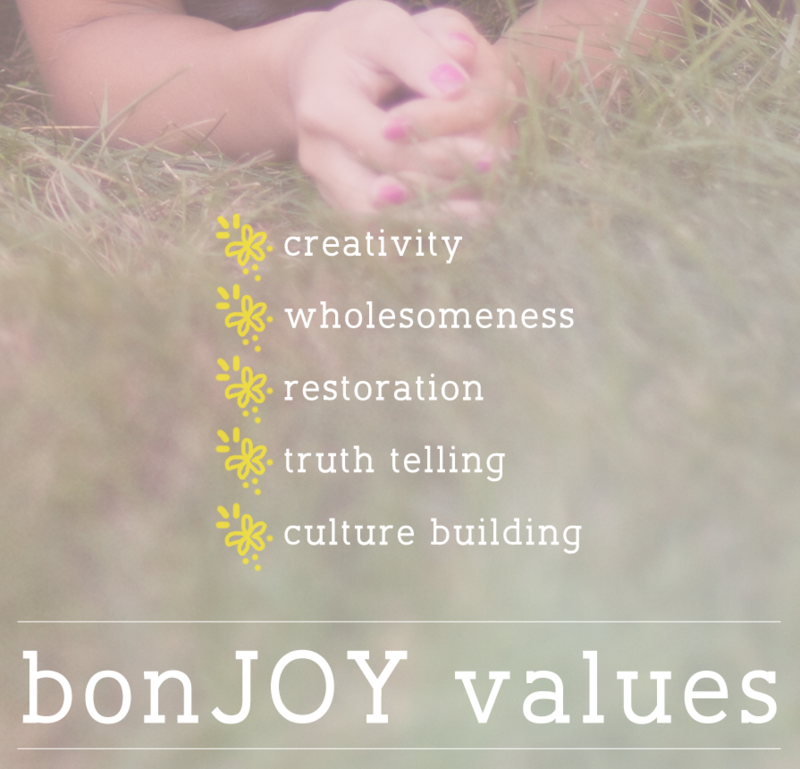 Every bonJOY box is responsible for a carbon offset equal to the entire supply chain emissions - right down to the harvesting of the natural materials used in the treasures you will find in each bonJOY box. You can learn more about what we've achieved by being Carbon Neutral, by clicking on the infographics and video below. Learn more about your carbon footprint.